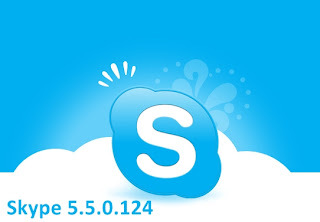 * Skype calling - Skype has all the features of an ordinary phone so it's even easier to manage your calls. * Video calling - see who you are talking to at the same time as speaking to them. * Add Skype and SkypeOut contacts - Add contacts who use Skype and those who use ordinary phones so you can call more people. * Organising groups - group contacts under certain names and share them with your contacts so they can talk to them too. * Basic chat and emoticons - when it's not convenient to call, chat or Instant Message (IM) your contacts. * Group chat - for when it's easier to chat or Instant Message (IM) all your friends at once. * Profile settings - change how you appear to the world and let people know a bit about you. * Conference calling - talk to more than one friend at a time. * Import contacts - search your address book to find friends and family that already have a Skype name and start calling them for free. * View Outlook contacts - view and call your Microsoft Outlook® contacts quickly and directly from your Skype contact list. * Quickfilter and Speed-Dial - find Skype contacts, recent chats and SkypeOut contacts quickly and easily, then enter their Skype name to call them back quickly.